Ice cream is a favourite dessert in our house, especially with Little Dude and his Dad. As with everything, I'm always on the lookout for healthier alternatives to what we like to treat ourselves with. 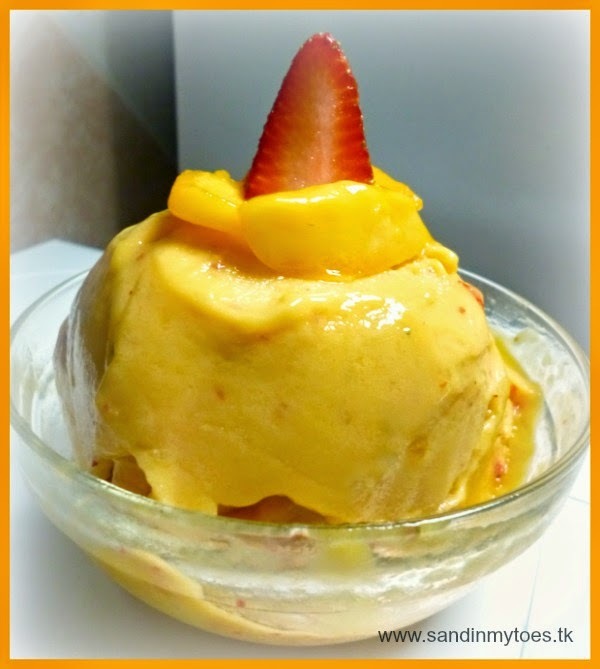 Now, I was recently invited to try a 'frozen dessert maker' using only fruits, and this had me hooked! Here's a peek at what I made with it, and to know how, read on. Allow me to introduce you to Yonanas. This awesome machine allows you to use 'dessert' and 'healthy' in the same sentence! Using only frozen fruit, you can have a dessert that's the texture of creamy ice cream, and tastes just as good. More importantly, it is dairy-free and sugar-free. 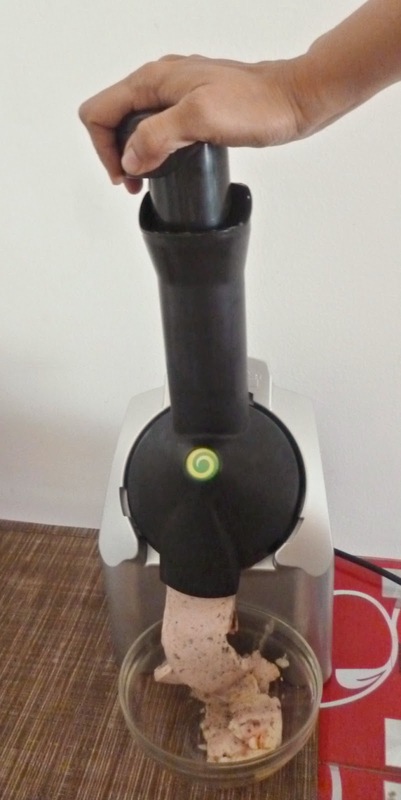 The Yonanas machine has works with almost any frozen fruit, especially bananas. In fact, it has been brought into the market by Dole, a name you are probably familiar with when it comes to fruits and vegetables. The dessert you make with Yonanas has as little as a 100 calories per serving, with no additives or sugar. What could be healthier, right? Besides, freezing is a great way to store your fruits that ripen fast. More importantly, you don't lose any of the fruit fiber when using Yonanas, so it's better than juicing. It's lightweight. It uses almost as much space as a small blender and is very light and compact, so you can set it up anywhere. And believe me, in the summers, you really won't need to store it away! It's easy to clean. It's very easy to disassemble the machine, and it can be washed easily in the dishwasher or the sink. Just take care to keep the parts away from the where children can reach them because the blade is exposed then. There is no wastage. As I said, the whole fruit is used, and nothing is left out. It's easy to use. Under supervision, older children make their own desserts which adds to the fun of making it. You would think that an ice cream maker would take time to produce output, but since the fruit is frozen, the dessert is instant! I really can't think of any way in which Yonanas could be better. Even though only small quantities come out at a time, it's a good thing because you won't end up overeating, and fresh fruit should be had instantly. Freeze fruit overnight or for at least 10 hours, but thaw for 5-10 minutes before using to get a creamy texture. Do not use nuts, and remember to de-seed fruit before freezing. Peel bananas before freezing them, and use ripe bananas for best results and taste. Don't use ice cubes or any other liquid in the machine. Put the fruit in the machine in segments, and not one ingredient altogether. For instance, put in a few banana pieces first, followed by some strawberry halves, and then more bananas. This allows for a more even distribution of fruit and provides a uniform taste. Thank you for your patience! 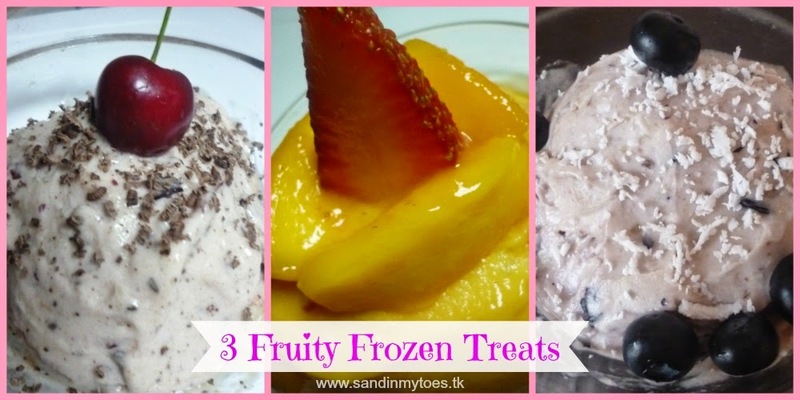 Now here are the three frozen fruit recipes I promised. 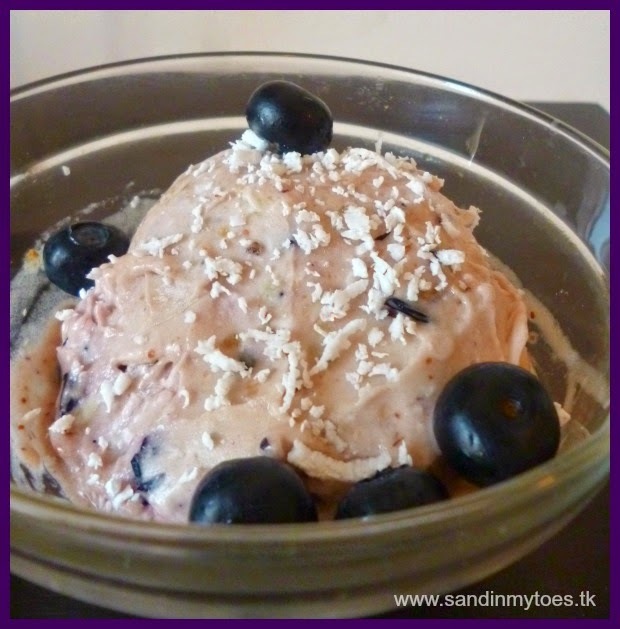 This turned out to be a yummy, creamy ice cream with just the right amount of chocolate and fruity flavours. The one word to describe this dessert would be refreshing! I added only a little strawberry to give it just a little zing, and the mango and melon made a great combination. I made a variation of the classic blueberry-banana combination by adding coconut, and that gave it a lovely texture, also making it healthier. As you can see, I had a lot of fun with Yonanas, since I'm a fruit and dessert lover! I can think of so many other wonderful combinations to try. Some of the other fruits you can use with Yonanas are pineapple, kiwi, mixed berries, papaya, peaches, nectarines, and many more. Yonannas is available for AED 299 in the UAE at leading hypermarkets, including Carrefour, Geant, Spinneys, Sharaf DG, Choitrams, Ansar Mall, and Al Meera outlets. 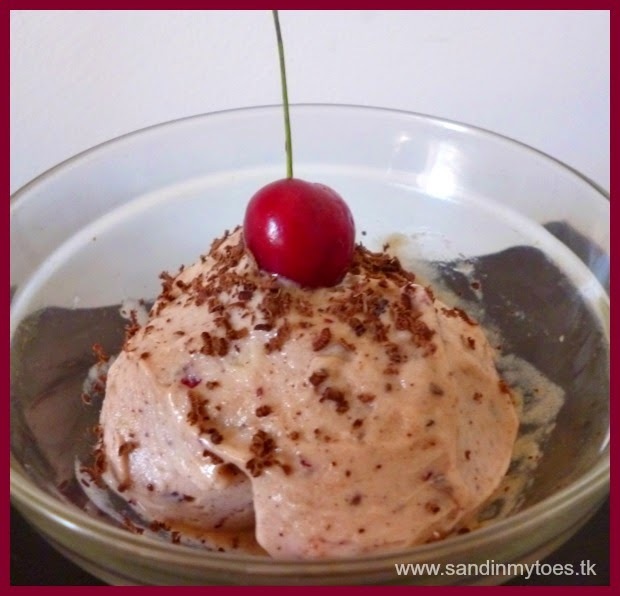 Visit the Yonanas website or the Dole Arabia Facebook page for more information and recipes. 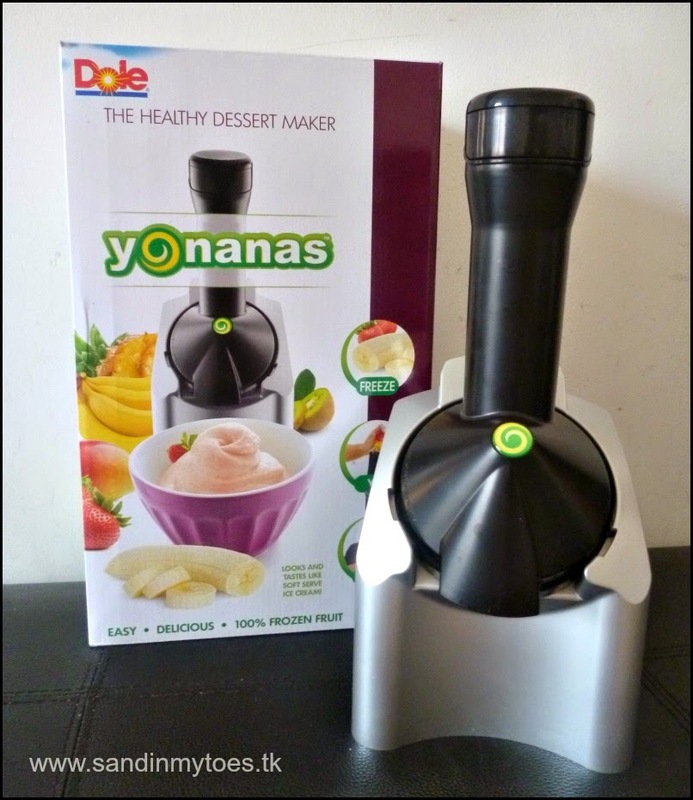 Apart from the UAE, Yonanas is also available in Qatar in the Middle East. It is also available in the USA, Canada, and the UK. You can find more information about their online and retail stores here. I was provided this product for the purpose of review, but all views and opinions are my own. My sister-in-law has one of these and she loves it! She's always making really yummy combinations. I've just used a regular blender before, but this would probably get the texture just right. I've tried the blender too, but the texture is what makes this machine different! wow! this is awesome delicious! it is great for weather in uk right now! great gadget!